Yikes! Where did this vintage photo come from? 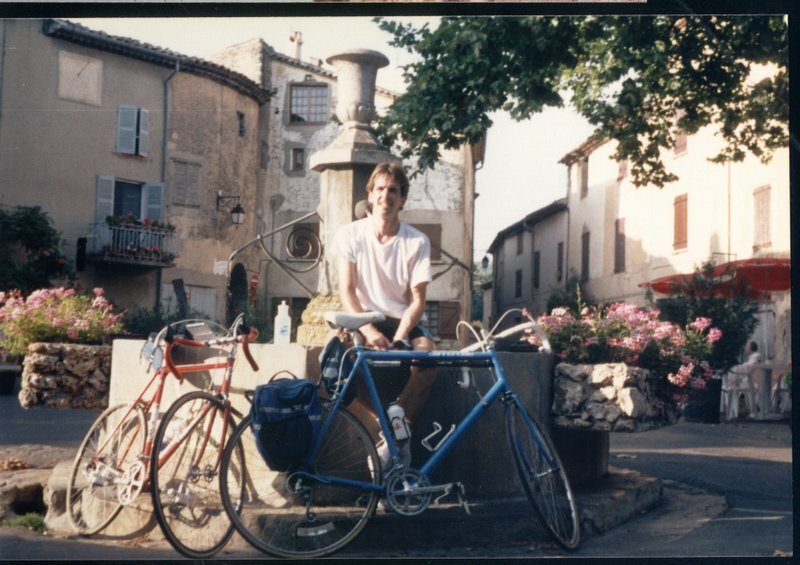 That was me back in 1988 sitting on the edge of a fountain in Cotignac, in the Var in Eastern Provence in France. A group of friends and I had rented a country house for two weeks. We cycled, explored the small villages, bought wonderful fresh picnic supplies at open air markets (the likes of which we had never seen before), we cooked at home, we ate out at some of the dozens of local restaurants. And some days we just hung out around our pool. Little did I know then that we were guinea pigs for the Hosted Villas program that I would launch a couple of years later. Welcome the Vicinale, our new blog site. What’s in a name? The Vicinale derives from a Latin wording meaning roughly “neighboring; nearby, local; relating to or being a local road ” We believe it is the perfect name for our blog as we always strive for the undiscovered, serendipitous travel experience that can only be found if you get off the beaten track. The entire Hosted Villas team is dedicated to making your travel experiences as memorable as this one was for me.